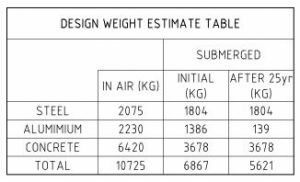 Cube Offshore successfully tendered for the concept, detailed design, procurement, manufacture, testing and delivery of 24 x Subsea Anode Skids for the protection of 24 individual mooring piles c/w permanent anchor chain. 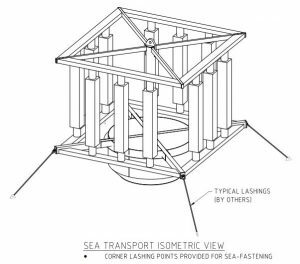 The engineering scope included conceptual design to facilitate transport, installation & operation phases, cathodic protection design, structural steel and concrete ballast design. 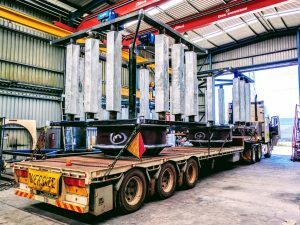 The procurement scope required importation of 55t of DNV anodes from Singapore which were installed into the pre-fabricated anode skids in Perth, WA. 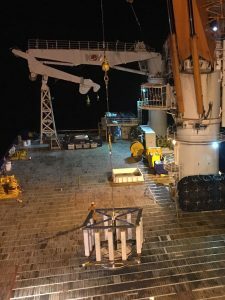 Cube Offshore delivered the anode skids on time and within the original budget. The tight schedule was mitigated by designing the anode skids to be pre-fabricated so the frames were ready for the anode installation on arrival from Singapore. Tight quality control of the anode supply was achieved by engaging DNV inspectors throughout the manufacturing process at the Singapore manufacturing plant. 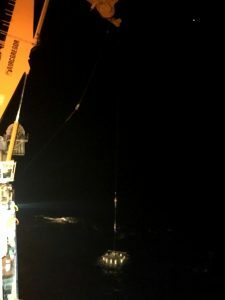 Final in-air weight of the anode skids was adjusted to allow for efficient road transport between Perth and Karratha whilst not compromising the submerged weight and on-botton stability. 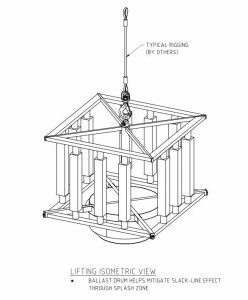 Single lift points were incorporated to simplify submerged rigging removal after installation thereby reducing vessel time. Concrete ballast was used to reduce cost whilst providing structural strength to the skid. Management of the concrete mix and selection of specific additives ensured integrity and longevity in a marine environment. 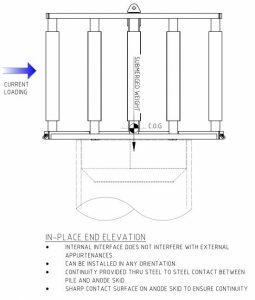 The anode skid profile was minimized to reduce on-bottom drag and overturning forces. Electrical continuity was automatically achieved via 8no. 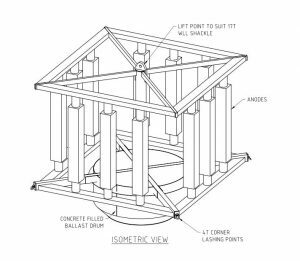 specifically designed contact points between underside of the anode skids and top of pile. Anode skid installation time was thereby further reduced as no additional continuity straps needed installing. Anodes were transported and installed smoothly and safely as planned without hitch. Excellent electrical continuity was achieved. 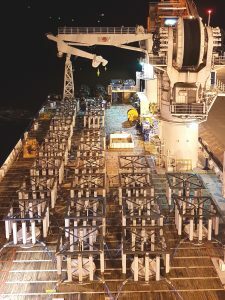 Anode skids seafastened onto the Fugro-TSM Southern Ocean vessel for transit to location in the Greater Western Flank field off the NW coast of Western Australia.